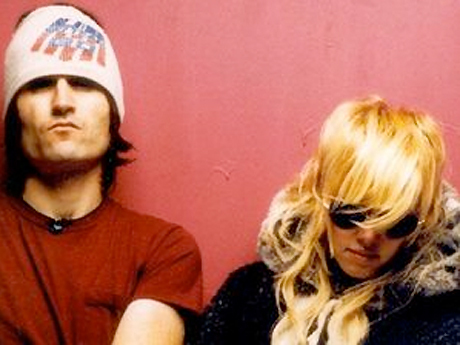 It's been over a decade since Neil Hagerty and Jennifer Herrema ended their union as Royal Trux, but the garage rockers are reportedly working together on the next LP from Herrema's Black Bananas. As Pitchfork points out, Herrema confirmed the team-up earlier today (May 30) over Facebook while posting plans for the follow-up to 2012's Rad Times Xpress IV. Apparently, the as-yet-unnamed LP "will include 2 new songs co-written with Neil Hagerty." It's unclear if he is also playing on the aforementioned tunes, but either way, Herrema writes that she's "STOKED!!!!!!! :)"
Details are slim beyond that, but the Black Bananas album is reportedly scheduled to be released next January. Following the implosion of Royal Trux, Herrema rebranded the band RTX while Hagerty started up his Howling Hex project. Despite years of inactivity, Royal Trux's back catalogue has been getting repressed by Drag City. Up next is with a reissue of their 3-Song EP, which hits stores June 18.